You must make reservations at least 5 minutes in advance of the time at KaZe. KaZe offers optional street-side valet service. Various on-street parking and public lots are available. We are happy to continually host karaoke with Sean Hafer of Karaoke Fantastic every Wednesday night from 8pm-12am in the Main Bar. 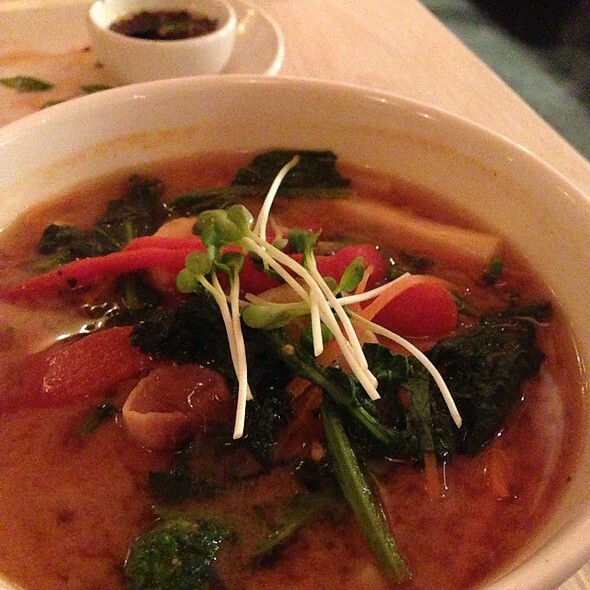 KaZe offers an experience not previously found in Cincinnati. Modeled after the Japanese Izakaya, KaZe is a multi-concept gastro pub that features a contemporary dining room, a cutting edge bar and lounge, and a year round outdoor beer garden. Executive Chef Mike Varcarcel's masterful sushi and small plates, ranging from lettuce wraps to Ramen, are paired with a top notch craft and local beer selection, premium sakes, and fine wines. The atmosphere, food, and drinks all lend to a social setting perfect for hard-working young professionals, foodies, beer enthusiasts, and social scenesters, alike. Don't be fooled, Kaze means business with it's food. 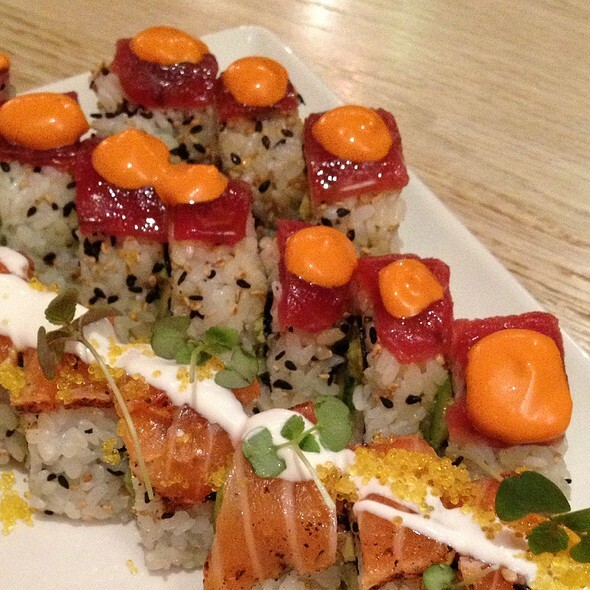 Chef Varcarcel's goal of the finest sushi in the Midwest is matched by the intense flavors of his small plates. His cuisine is meant to leave no one behind, and is a perfect match to your favorite libation. 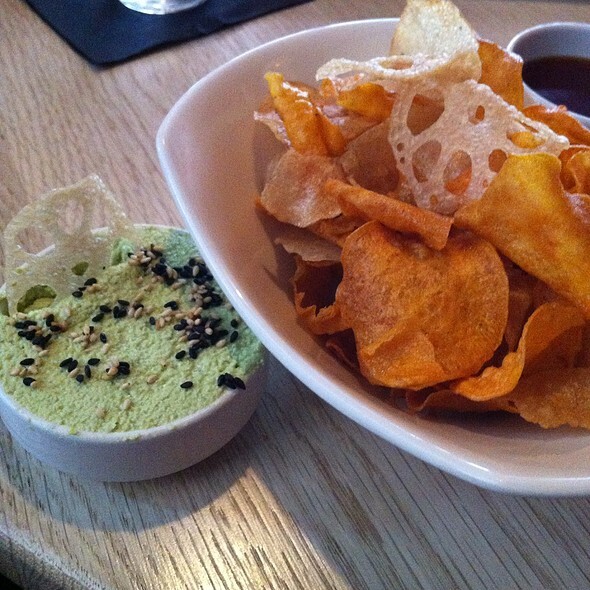 Located in Cincinnati's historic Over-the-Rhine, Kaze is a new social and epicurean oasis, in a storied setting. Food, beverages, and ambiance was great. A fantastic place for a group meal. Great hostess/ seating experience. They paid attention to our seating request. Sashimi was amazing. We loved it! The happy hour special was really killer. I got two full rolls, the chicken lettuce wraps, and some Edamame, and was completely satisfied. My husband got the ramen (along with more sushi) and he thought it was perfection. Just a fun little hang out with good ambiance, friendly service, and some casual-but-still-nice vibes. This was our second visit and have always had a wonderful experience! Food is great, service is friendly and very accomodating and we enjoy the ambiance. Highly recommend!! LOVE the happy hour prices (on food not just drinks), and the regular prices are already great for the quality of food you’re getting. Great for upscale and casual occasions. We love Kaze! Great food and good service. Also its one of the few places in OTR that takes reservations which is great for a group night out. I am no sushi conosieur but that was the best sushi I have ever personally had. Value was worth every penny. 10/10 would recommend. 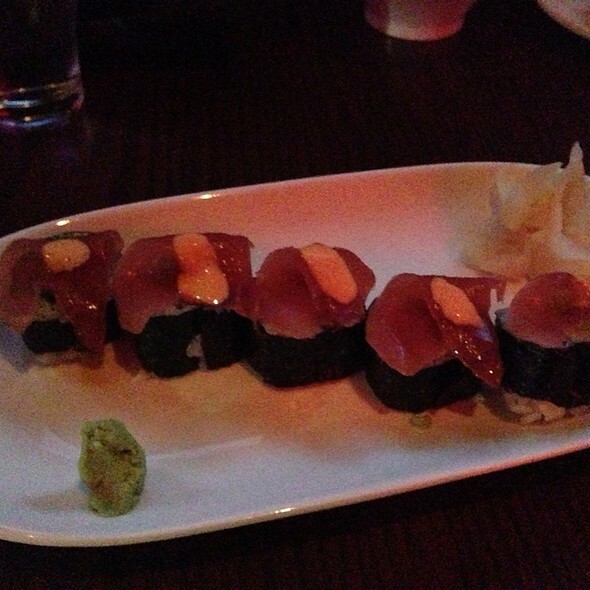 Overall KaZe is a great place to get sushi the value is amazing if you can make it in time for happy hour. I recommend it as a cool place to start your weekend. Great atmosphere and food quality. Seated right away for reservations. Fun time with friends seated at sushi bar. Kaze is an incredible place. The infusion of spice and sweet with the savory is amazing. The meatloaf has a tangy Korean BBQ sauce and the wasabi potatoes had just the right amount of kick without being overpowering. The sushi rolls were tasty and unique, and the Scallop roll with eel on the outside was extremely tasty. Everything we tried was flavorful...the vanilla ice cream infused with cayenne pepper over a blond brownie was out of this world. The staff is team-oriented, which means there was never a dirty dish or a half-full glass of water. Our server Dante was professional, personable, and very polite. Great 70s and 80s music with just enough volume to be pleasant but you don't have to talk over it. OVERALL AN A+ experience. Valet parking right in front. A luncheon family gathering for my daughter’s birthday. 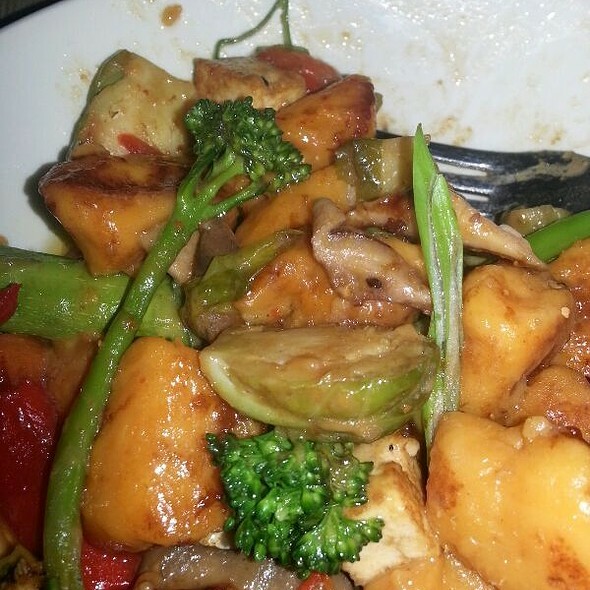 The food was excellent and the service was superb. Made a last minute reservation for 8, actually had 12 show up. It was about an hour before the kitchen closed and everyone there was great. Service was good, food was good, the team got us to the back area that we essentially had to ourselves and the even brought out a birthday dessert. server was helpful as i was a first timer at Kaze. food was excellent. will fiffently go back again. 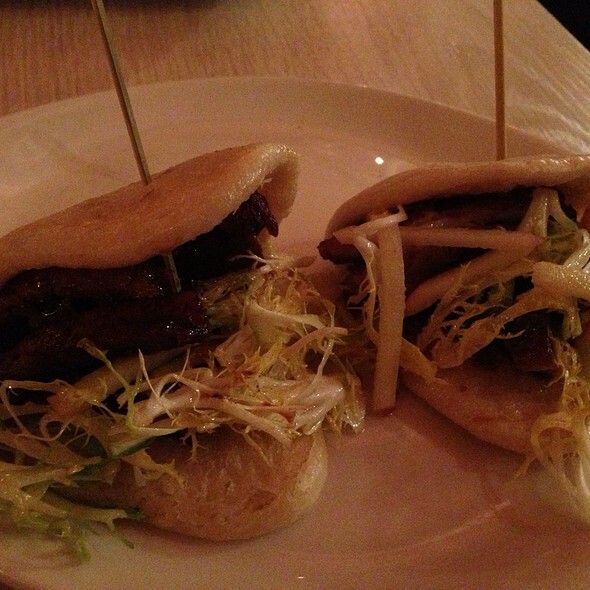 Aside from the server being overextended with too many tables, I really loved my experience. The food was excellent, fast, and reasonable. I can't wait to go back! Perfect stop for nice food before Hamilton! Service was friendly, food was hot or cold as expected, decent wine list to choose from. All in all a very good first encounter and one we hope to renew again soon. So many people told us kaze was the best sushi in Cincy so my husband and I tried it. The food was okay - did not live up to the hype. The soup was bland and the sushi was okay but most of their rolls are filled with mayo and tempura. The restaurant itself was trendy and had a nice ambiance. We had excellent service. Overall, we enjoyed our meal here but probably won’t be back for the sushi. Our server was great! Had to send back sushi as we asked for no sesame seeds and it came to the table loaded with them. Server gave us a hot Sake on the House for the mix-up. Food was very tasty! KaZe was great. The food and drinks were awesome. My only complaint is that they sat us by the door and it was FREEZING every time someone opened it. They really need to put something up so that people don't have a miserable experience in the winter. We sat at the first table by the door. It was cold outside and with the old drafty window behind us I wished we had asked to be seated elsewhere. We sat for 15 minutes before our server came, saying he hadn't noticed us although he served the table next to us. He didn't know what was in the cocktail my wife asked about and didn't tell us the prices of the specials. Totally clueless. Really good lunch experience with rice bowls, sushi, and pho being really good. Also a nice experience to be in OTR on a Saturday afternoon before heading over to Music Hall. One caveat - this is a place primarily for people who like fish. We had one friend who is allergic to fish, and was able to enjoy the chicken katsu bowl. Food was excellent. Read a review about service being very slow and was a little worried as we had tickets to the ballet, but no issues. Very nice. Will have to go back to try more items on the menu. So many choices! KaZe was a good experience. The sushi rolls were tasty, the lavender cocktail was great. We dined right when it opened for the day so it was very quiet. We will be back! The food was outstanding and love the half price bottle of wine! Our food was amazing. 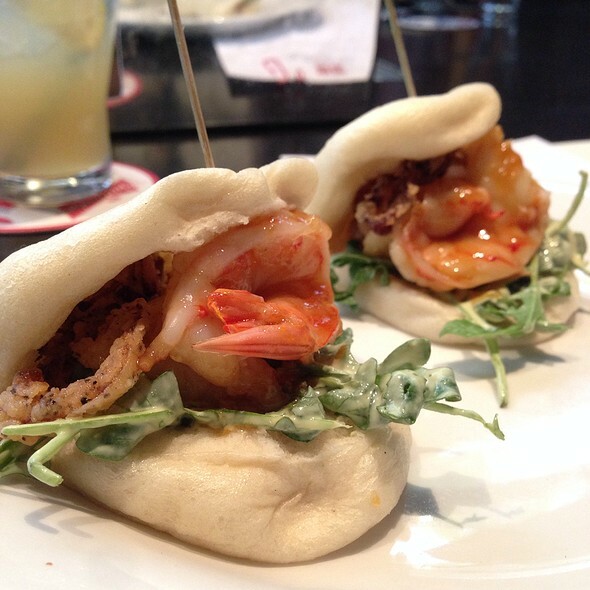 We had pork belly buns, crab Rangoon, and several sushi rolls. What brought down the whole evening was the service. Our waiter had zero sense of urgency. We were seated at the table for over 10 minutes before he took our drink order. We actually saw him walk past us several times before he took the drink order, we didn't stop him because he hadn't introduced himself. Then he carried our drinks one at a time, three separate trips to bring drinks. We ordered food as soon as we received our drinks, about 25 minutes after arriving, because we were afraid that we would lose him. At times it was comical, he literally just walked around the room, never talking to customers, never asking if we needed anything. He was hanging out at the hostess stand when we finally asked another staff member to ask him for our check. Great food, TERRIBLE service. The Happy Hour specials are great! My husband loved the ramen. And the Tokio mule is incredible. Casually elegant ambience with great food! You should go there for a fantastic time! 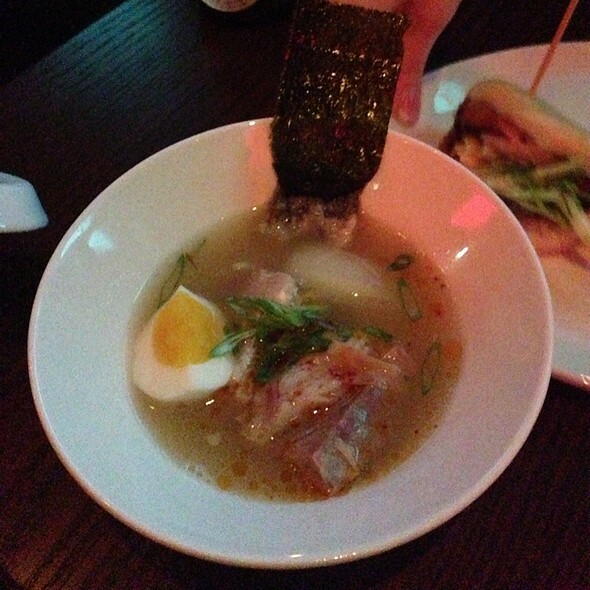 Eclectic and fun Japanese-inspired menu with a vibrant urban atmosphere and full bar. Manager Manu Hazeley is a class act and runs a tight ship. We dine at KaZe regularly! Happy hour prices on Sunday's from 4 pm to close was an unexpected surprise. The food was spectacular! When you are craving it the next day, you know it was good. We were disappointed to arrive and find out the restaurant was closed for the night because of issues with the power. Some notification would have been nice but understand that it may not always be possible. Love this place. We've been there multiple times and each one has been wonderful. 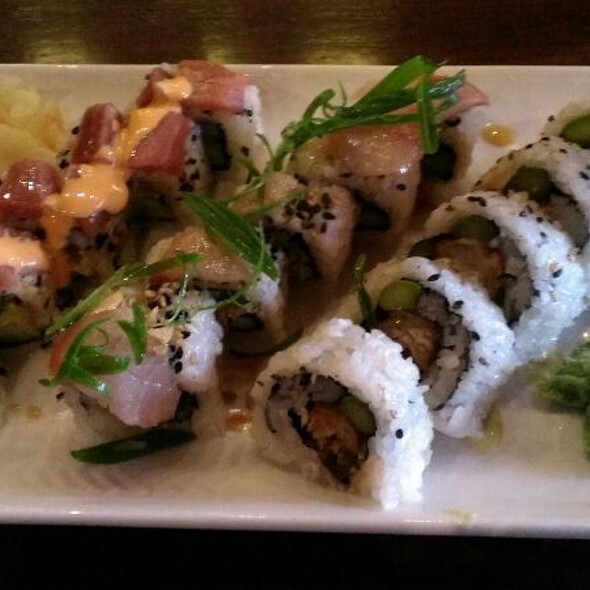 Great sushi, delicious entrees and amazing desserts.